Goodbye my old friend. I hope you have now found peace. Fabulous detail. Bees are so interesting close up. Not too close, though! I love watching bees in the garden, perhaps this fella won't be pollinating any more flowers? that is lovely Is it your drawing? 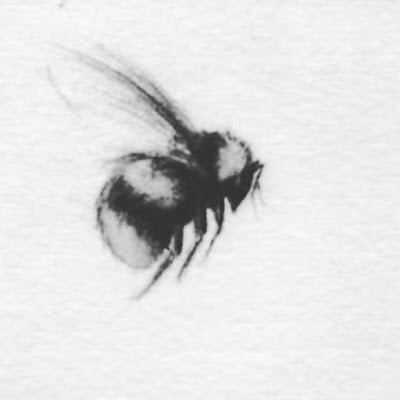 i love bees!